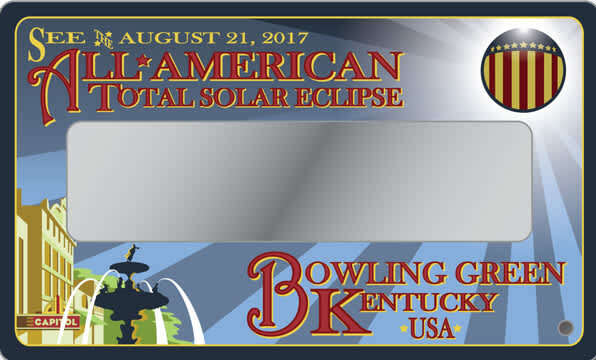 Total Solar Eclipse in Bowling Green, Ky.
Total Solar Eclipse is less than one week away! It&apos;s been Eclipse Central around here for a few weeks and now the final countdown has begun! A majority of hotel rooms in Bowling Green/Warren County are booked, viewing events are in the final stages of planning, and last minute deals are being promoted. This total eclipse of the sun is shaping up to be a great addition to our late summer events calendar! Many of our tourism partners are gearing up for viewing events at their locations and lots of folks are asking questions, so be sure to visit our Eclipse landing page for details, events, viewing locations, traffic information, and a list of who will have eclipse viewers available on Monday. Hint, if you want to make sure your gang is prepared, we have a good-sized supply available for purchase here at the CVB office at 352 Three Springs Road! Now, the Geared for fun part! The following local restaurants in conjunction with the SKySci Fest are featuring special Eclipse-themed items on their menus this weekend through Monday, and some will even be open for viewing parties! White Squirrel Brewery- Special Edition "Block Whole Sun" Scharwzbier, release party Friday 8/18 at 4pm, live music Friday and Saturday nights, then on Sunday 8/20, Eclipse Pre-Party starts at 4pm with music beginning at 5pm. Then on Monday, the Brewery opens at 10am for special eclipse viewing with glasses provided. The Bistro- Drink Special, "Black Hole Sun," made of Bourbon, Campari, sweet Vermouth, on the rocks with a black cherry; Dinner Special featuring Fruit de mer with Squid Ink Pasta and a Bourbon Marinated Ribeye topped with blue cheese butter over parmesan fries. Mary Jane Chocolates - Total Eclipse Gelato, buy one get one half off. Gerard&apos;s 1907 Tavern - Drink Special, "Lavender Lunar Lemonade"
And then be sure to stop by our flagship attraction, the National Corvette Museum, to enjoy a Solar Eclipse Sundae featuring orange sherbet with a mini chocolate MoonPie on top!